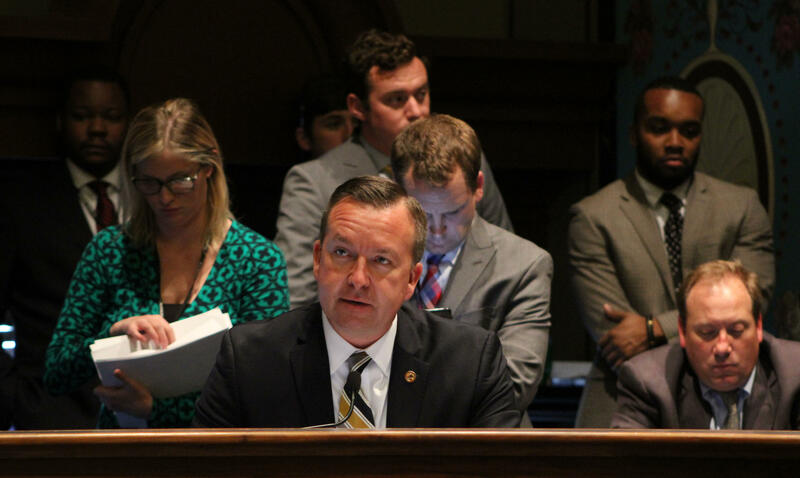 Sen. Andy Manar, D-Bunker Hill, presents the FY19 budget spending bill to his colleagues on the Senate Appropriations Committee. On the floor of the Senate, it was a night of firsts. McCONNAUGHAY: “It’s the first time I voted yes for a budget as a Republican. Mm-hmm. Yeah, that says a lot." This is Sen. Karen McConnaughay. She’s from St. Charles. And she’s been in the legislature since 2012. McCONNAUGHAY: “It may not seem like a big deal to people back home. But here it’s a big deal." MACKEY: “Does it feel like this is the way it’s supposed to go?" But a bipartisan budget is absolutely not the way it’s gone in Illinois — for quite some time. Democrats largely froze Republicans out during the Quinn administration. Then came Gov. Bruce Rauner and more than two years of stalemate. 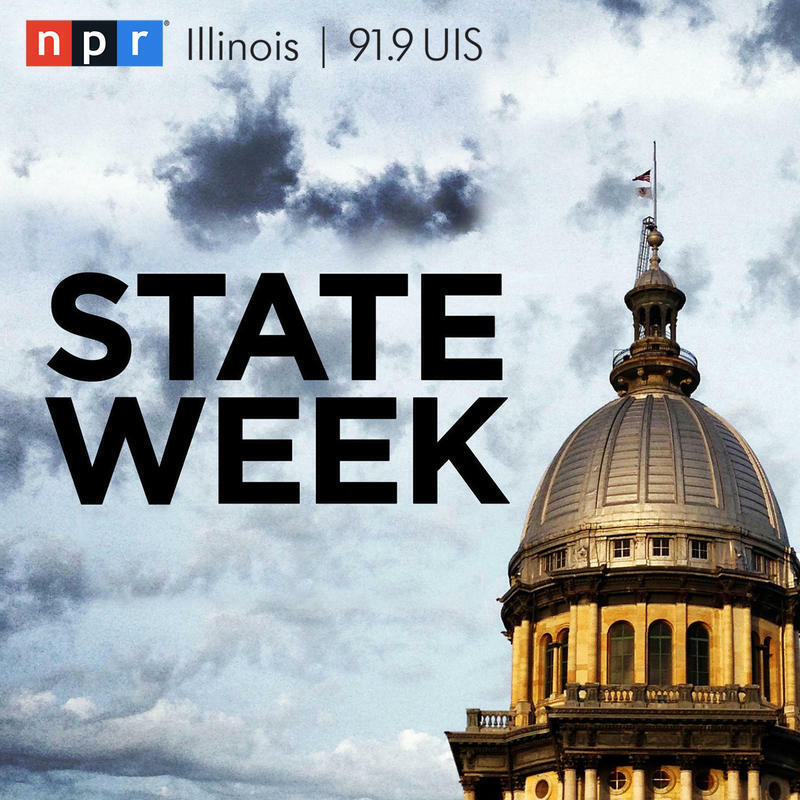 It was a self-inflicted fiscal crisis that was only resolved with the Republican Party tearing in two, as 16 of them broke with Rauner to help Democrats raise taxes and end the impasse. It’s because of that history that people have had a hard time accepting the way things seem to be going this year. “I just know what it’s been like for these last couple of years. And especially where we were last year,” says Sen. Toi Hutchinson, a Democrat from Olympia Fields. She captured the sense of optimism and disbelief that’s permeated the air in the Capitol for a few weeks now. “I’m finding myself sitting here smiling because, all day long I’ve been telling people I feel unsettled. I don’t know if there’s another shoe that’s about to drop,” Hutchinson says. But so far, at least, everyone’s shoes have remained aloft, along with their hopes for Illinois' first “normal” budget in years. After months of negotiations, Democrats say it’s perhaps a more austere spending plan than they would have liked. But they had to compromise to meet Rauner and the Republicans’ demands — namely that the budget be balanced and that it not raise any taxes. Senate Republican Leader Bill Brady, from Bloomington, says it passes those tests. If ultimately approved, the budget would, among other things, deliver a modest increase in funding for public universities. It would send about five percent more to public schools. And it would impose a slight cut on the Department of Corrections, which legislators say is justified because Illinois has thousands fewer prisoners than it did a few years ago. That cut is also what Gov. Rauner asked for in his budget proposal. Now it goes to the Illinois House, where if things don’t go off the rails, it’s expected to be called for a vote Thursday.